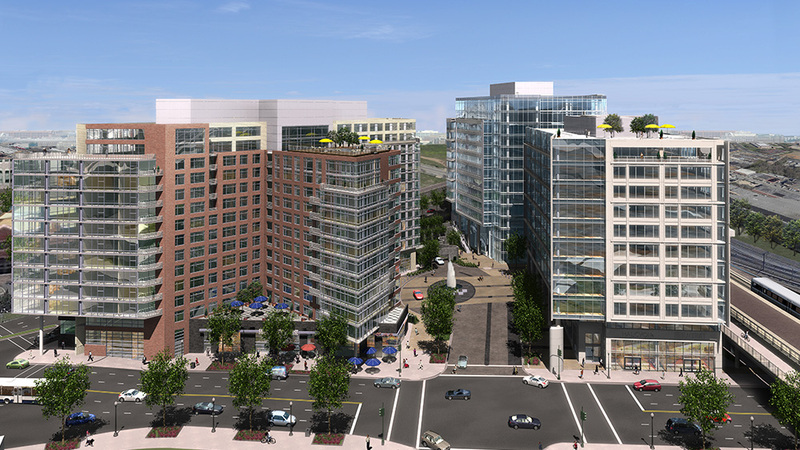 Washington Gateway is a 1 million square foot, award-winning development in the NoMa submarket of Washington, D.C.
Bordered by the intersection of New York and Florida Avenues to the west, and the Metropolitan Branch Trail to the east, the site is within one block from the New York Avenue Metro Station, and is organized around an interior urban plaza, providing excellent visibility from and accessibility to Florida and New York Avenues, promoting pedestrian activity. 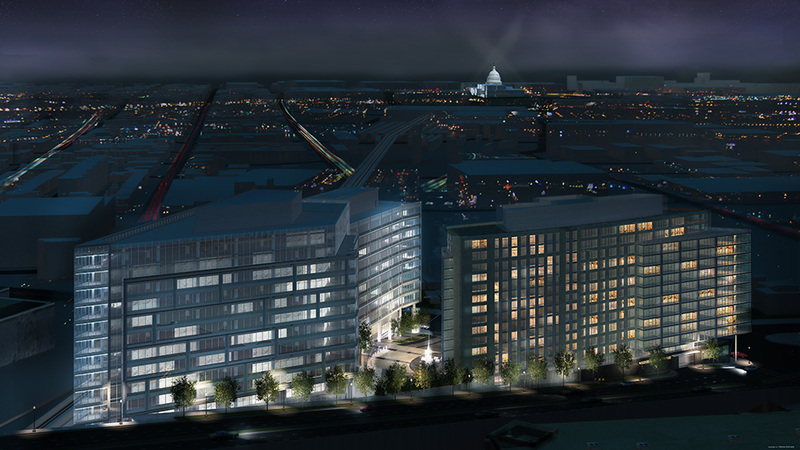 Phase One, the Elevation at Washington Gateway was completed in 2014 and consists of a 400-unit, 14-story high-rise apartment building with luxury finishes and abundant amenities including a rooftop pool with Capital views. 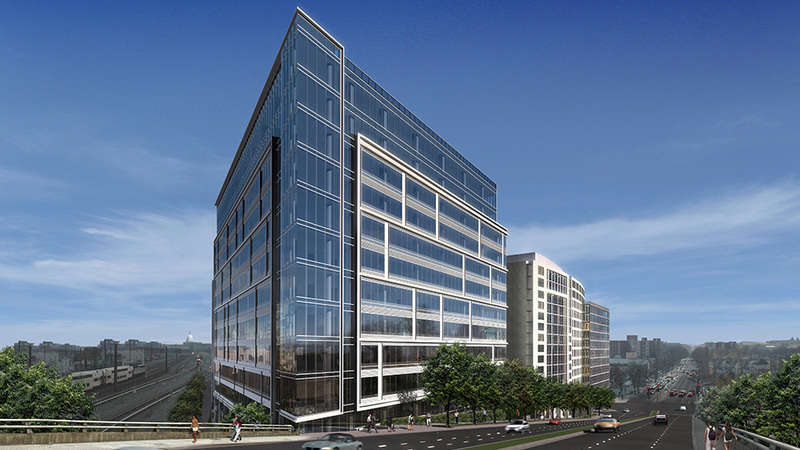 Phases Two and Three will consist of two LEED silver office buildings totaling 630,000 square feet.